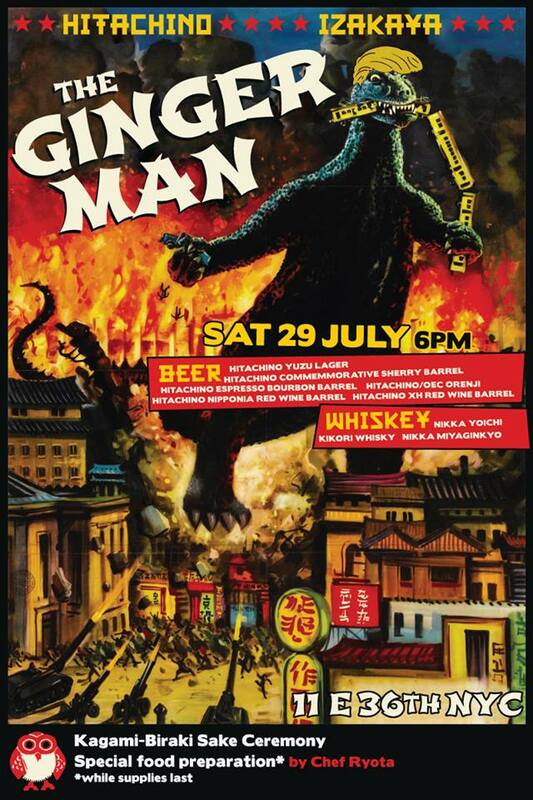 Beat the heat of the summer in Japanese matsuri style at The Ginger Man! The beer lovers’ haven is celebrating Kiuchi Brewery, makers of Hitachino Nest Beer. This event will feature the brewery’s Yuzu Lager, commemorative Sherry Barrel, Espresso Bourbon Barrel, Hitachino/OEC Orenji, Nipponia Red Wine Barrel, and XH Red Wine Barrel. High quality Japanese whisky from Nikka, sake, and shochu will also be available on a pay-as-you-go basis. Chef Ryota Kitagawa, formerly of Wasan East Village, will prepare Japanese snacks, available from around 5:30 p.m. while supplies last. Guests dressed in yukata will receive one drink ticket good for one free Hitachino beer. For more information, please visit The Ginger Man’s website.